Taiwanese manufacturing giant Foxconn ended weeks of speculation when, last Friday, it confirmed that it would invest $1 billion to develop a factory there, but its total investment in the country could reach $10 billion and yield a Silicon Valley-style tech hub. While Foxconn — known in Chinese as Hon Hai — said that the move will create an estimated 1 million jobs in the country, Indonesia’s government sees the investment as a catalyst for the local tech and manufacturing industry. Indeed, to that end, industry minister M.S. Hidayat told the Jakarta Post that Foxconn will do more than just build a factory, and instead a ‘tech city’ will be set up. 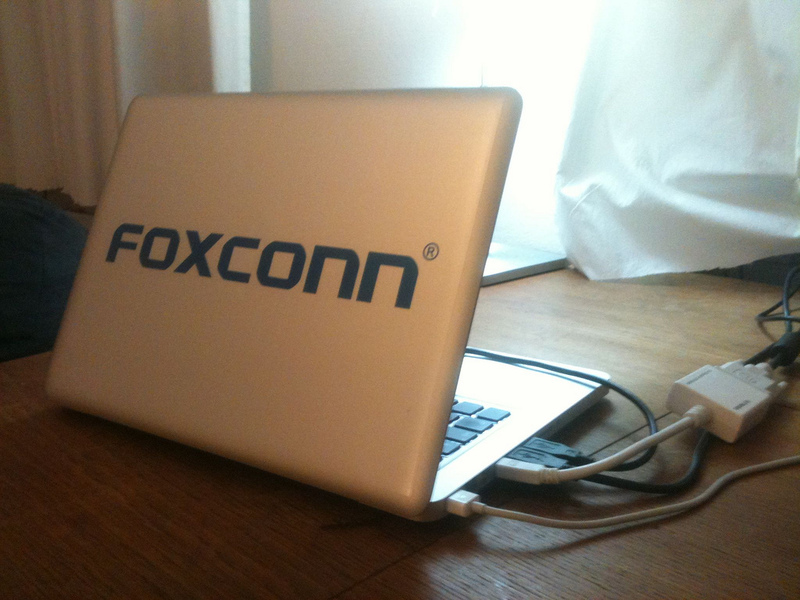 “Foxconn is looking for 1,000 hectares of land. They are planning to build some sort of Silicon Valley here in Indonesia,” the minister revealed. Sofjan Wanandi, chairman of the Indonesian Employers Association (Apindo), echoed Hidayat’s comments after meeting with Foxconn chairman Terry Gou. “The investment would be huge because the plan is to build an entire industrial city,” he said, revealing that related hires will include skilled labour, with up 1,000 engineers likely to be required. Indonesia is often spoken about as having plenty of potential for technology and startups. A promising startup ecosystem is developing in the country — including the likes of Harpoen — and it is interesting to ponder the possibility that the arrival of Foxconn has the potential to boost entrepreneurism, going beyond simply providing a massive number of factory jobs. However, Indonesian officials can be difficult to deal with, as both Google and BlackBerry maker RIM can testify. The US-based search giant is still yet to open an office to serve Indonesia’s 240 million population, despite expressing an interest since as far back as 2011. While RIM recently felt the cold hand of the government last year when it overlooked Indonesia and opted to base a new BlackBerry production centre in neighbouring Malaysia. Already there are slight inconsistencies emerging, however. The Jakarta Globe reports that the government is readying 1,000 hectares of land outside of Java, however a previous report suggested Foxconn had wanted to base the facility in Java itself. These may be little more than early teething issues, and Indonesian officials are set to visit the company’s headquarters in Taiwan as preparation for the mammoth project continues. Foxconn has production plants in China and Brazil, however its investment in the Latin America country is reportedly on hold, according to local sources. More from Indonesia: Yahoo agrees to return Indonesian check-in service Koprol to its founders.